Special thanks to the 3d artists in the UWA contest this year: PaleIllusion, Spiral Silverstar, Soror Nishi, Ama Avro and to Nezzy/Imp Twilight's Edge sim designer for their wonderful artistry. Also thanks to UWA, Inspire Space Park, and Starfall's Twilight's Edge sim. "The value for older people" she says, "is wonderful because of the ability to interact with other people from all over the world of other ages. You are being judged by what you say - the pure essence of who you are!" 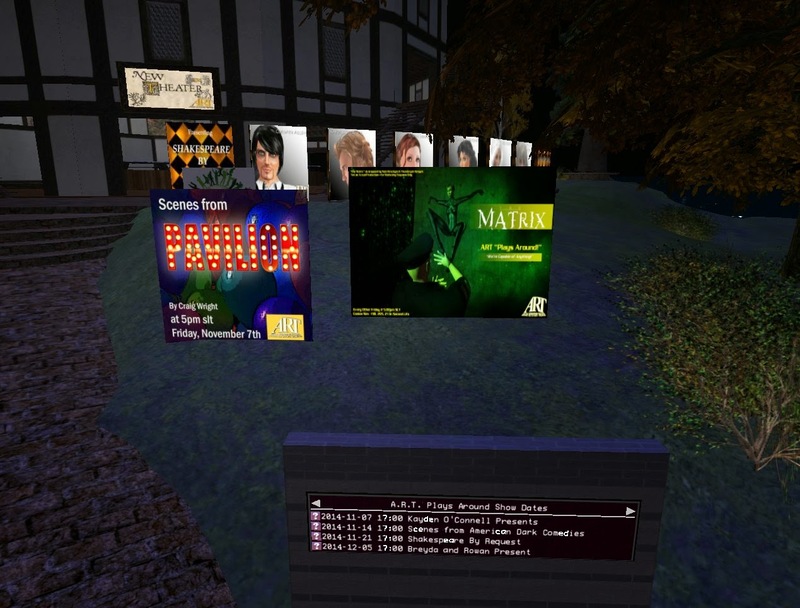 "Second Life levels the playing field when we interact with each other", says actress MadameThespian Underhill who directs the virtual reality theatre troupe Avatar Repertory Theatre in SL. 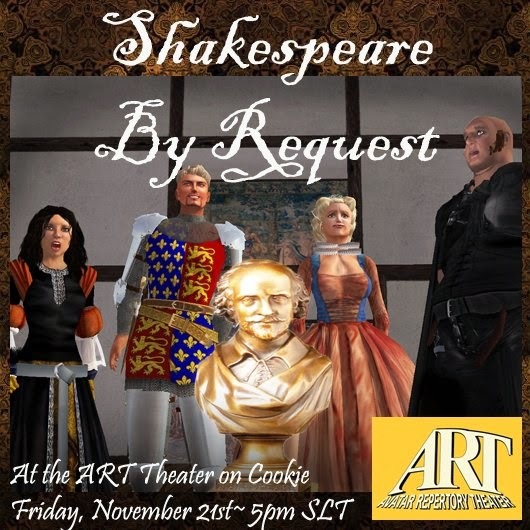 A.R.T has been performing live theatre in the virtual world since 2008 with a cast that spans all generations and [physical] locations. Professional TV and stage actors mingle with dedicated hobbyists and community theatre buffs to dress up their colorful avatars in homemade sets to produce drama, comedy, musical and improvisational theatre for a global avatar audience. And so you can often see the likes of Thinkerer Melville, 85, well-known benefactor of the arts in Second Life enjoying inter-generational dialogue with Madame and Mike Denneny, who at 22 years old is already a veteran in the virtual realm, having started as an entrepreneur on the Teen Grid in 2005. The theatre a place to express a deeper kind of truth about the human condition? Certainly a tradition in physical "reality" but increasingly one that has impacted virtual reality just as much! 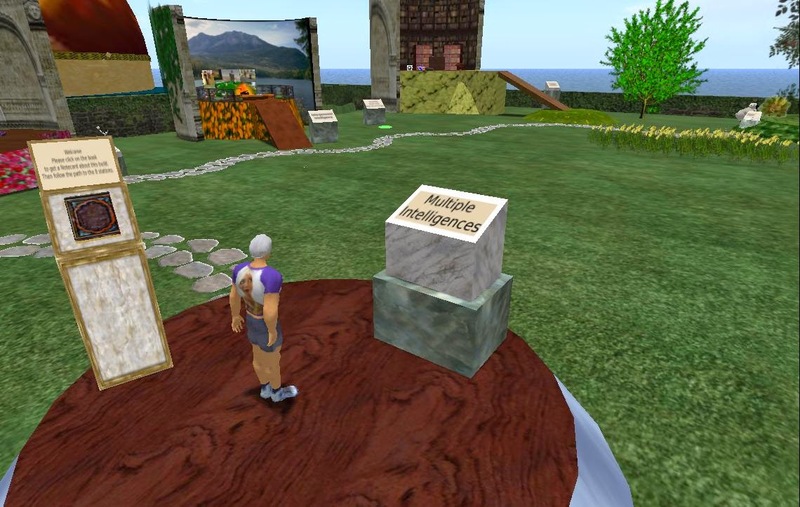 2015 EDU: Learn English Network Academy: Kitely, Second Life. Free. How we will learn languages in the future is not the way we learned them in the past. And in virtual worlds, the future has arrived. 2014 TKR: Multiple intelligences. Where are your strengths? Multiple intelligences. Where are your strengths? You have all of these intelligences. You are above average on some. And below average on some others. Perhaps knowing about them will help you with some choices. Welcome to my interactive build of 8 of Howard Gardner's Multiple Intelligences. -- Zotarah Shepherd. 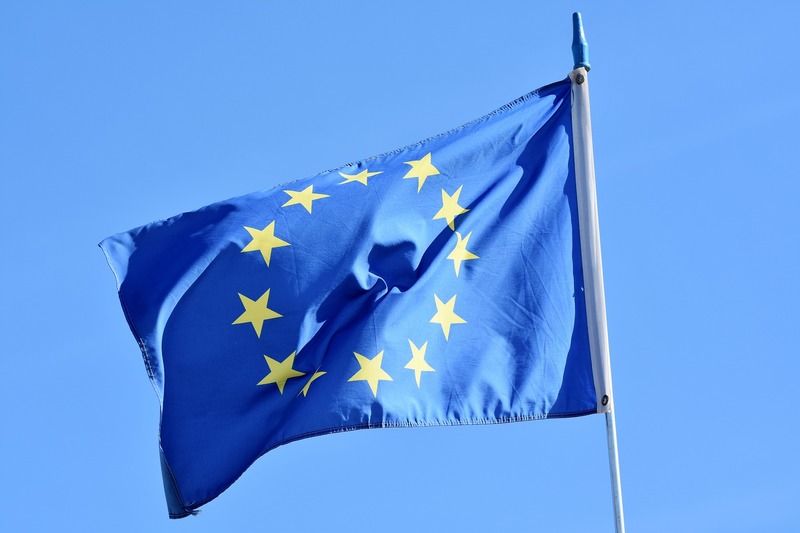 The purpose of the study is to determine the efficacy of designing outcomes-based online professional development and continuing education courses for adult learners. Many professions require continuing education courses. 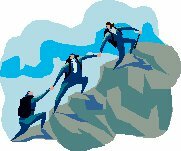 To advance in a profession people may need professional development courses. Such people may find online courses attractive. Study at home, on your own time schedule. People in virtual worlds would surely be interested in such online courses. If the courses fit their needs. to tell about your needs. The survey should take no more than 5-10 minutes to complete. The OpenSimulator Community Conference is an annual conference that focuses on the developer and user community of OpenSimulator software. Organized as a joint production by AvaCon and the Overte Foundation, the virtual conference features two days of presentations, workshops, keynote sessions, and social events across diverse sectors of the OpenSimulator user base. OSCC had so many interesting exhibits I had to break them up into two parts to report on them. Here is part two. Immersive Teaching and Learning Environments. Academic Technologies (AT) at The University of Texas at El Paso (UTEP) is a client-centered, project-based department that creates, facilitates, and/or integrates technology solutions for teaching and learning at UTEP. This includes consulting with faculty about instructional design and curriculum development using technology, workshops and academies on all aspects of teaching and learning with technology, software programming, graphic design, digital media and database production, learner-centered online and face to face classroom design, and multimodal, multi-delivery (tech-enhanced, hybrid and fully online) teaching and learning. 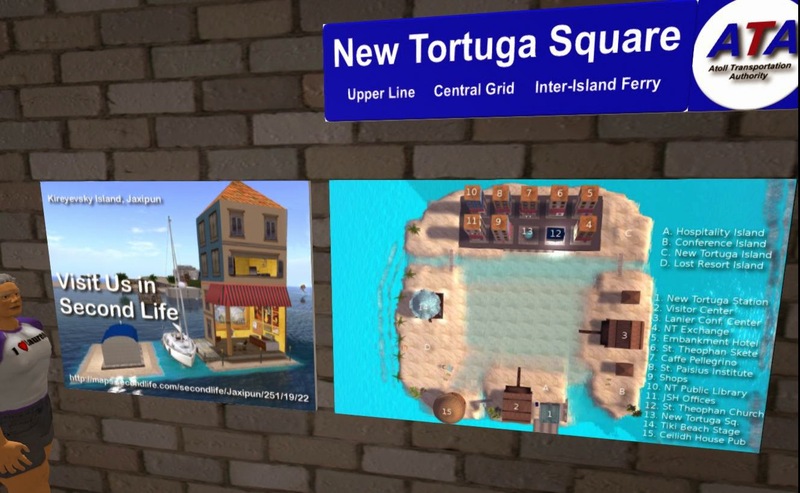 Pirate's Atoll makes full use of the hypergrid. 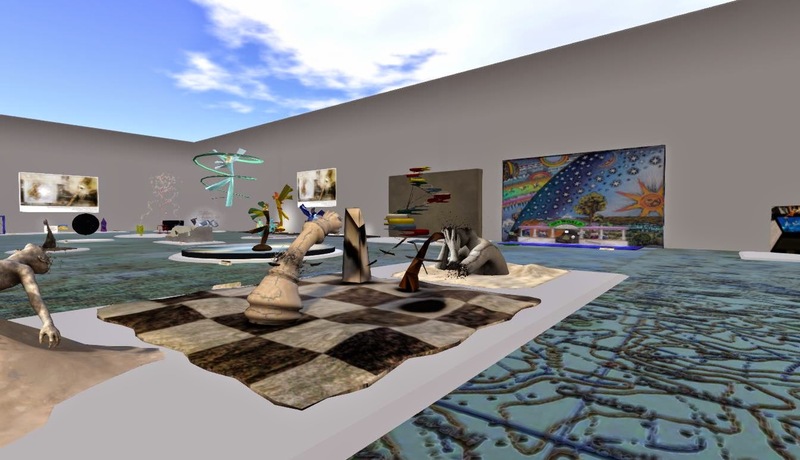 Visitors are to arrive by Hypergrid. And lots of hypergrid destinations are offered on signs. There may be a direct arrival route for registered residents, but little reason for use by the Hypergrid generation. If you are just entering the hypergrid generation, remember to press enter. The people have spoken! Join us tonight and enjoy some inspiring command performances from the works of the Bard as presented by our Company members. Works from the Shakespearean canon being represented include: TWELFTH NIGHT, MUCH ADO ABOUT NOTHING, HENRY V, HAMLET, and more. They animate and pose like avatars. They are made from avatars. They can be stand-ins for avatars. They can be body-doubles for avatars. The can even replace avatars if they don't have to talk or move a lot. They use OSSL functions, only available in OpenSim Scripting Language. OpenSimulator uses Linden Scripting Language in the same way as does Second Life. But the OpenSimulator devs have added more functions, creating a second language, OSSL. OSSL allows some functions that could be harmful if used carelessly or with malicious intent. OSSL manages such functions by limiting who can use them. Here is what you need to know to work with such functions. What does that mean to a user? Your objects with threat functions may get error messages in some places. You may need to be a region or parcel owner to execute them in those places. Or you may just need to be in the parcel group or an estate manager. 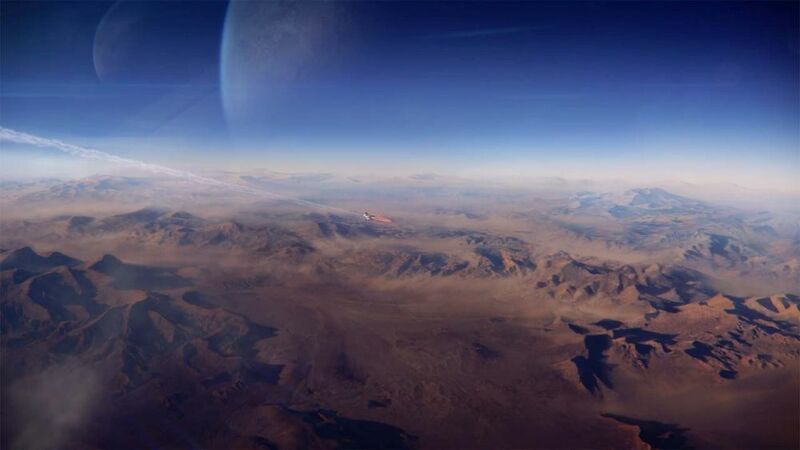 A poetic view of the Cosmos. By Karima Hoisan and Natascha Randt. Although 3D designer loz Hyde has a creative day job - he is getting paid to breathe digital life into Hollywood blockbusters such as Terminator and Guardians of the Galaxy - the user-created universe of Second Life holds a special place in his heart: "People have tried to analyze why SL is so successful and yes, the environments are beautiful, but I am more touched by the people!" Among his many contributions to the community of colorful avatars is the now iconic "Arcade" building, which is inspired by the Brighton Pier in loz' native England. The Arcade in SL serves as a beloved destination for many residents during the Gacha series of events. 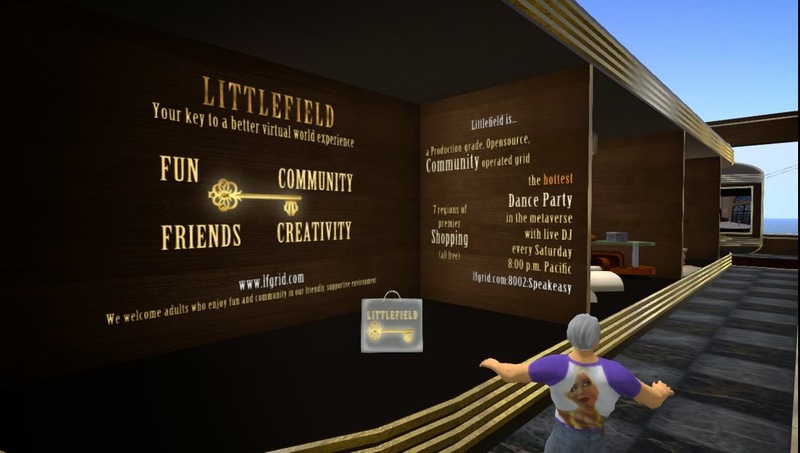 loz Hyde runs the "Meshworx" store in Second Life, where he sells his unique furniture and buildings to a global userbase. OSCC had so many interesting exhibits I had to break them up into two parts to report on them. Here is part one. What happens when the story of Macbeth gets mixed with modern parenting and daycare centers? 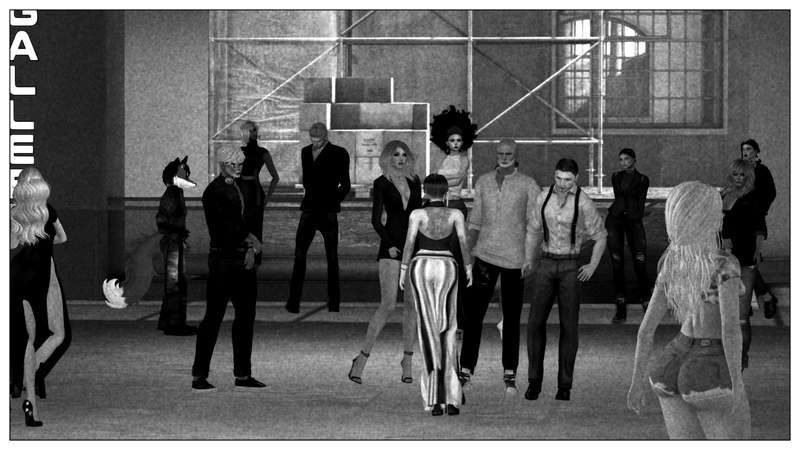 ....Come see chaos, mayhem and hilarity ensue this Friday, November 14th at 5:00 pm SLT as MadameThespian Underhill directs Avatar Repertory Theater actors Avajean Westland, Kayden Oconnell, Caledonia Skytower, Breyda Adored, Corwyn Allen and Ada Radius in scenes from an American dark comedy by Eric Coble -- "Bright Ideas"
A suggestion in a Kitely forum proposed the development of "Kitely Academy" or "Kitely University." That idea has been growing and expanding. We now recognize that an academy university will not be limited to Kitely, even though it may be rooted in Kitely. Here is my take on the current status of the activity and a suggested preliminary model for an expansion to university scope. 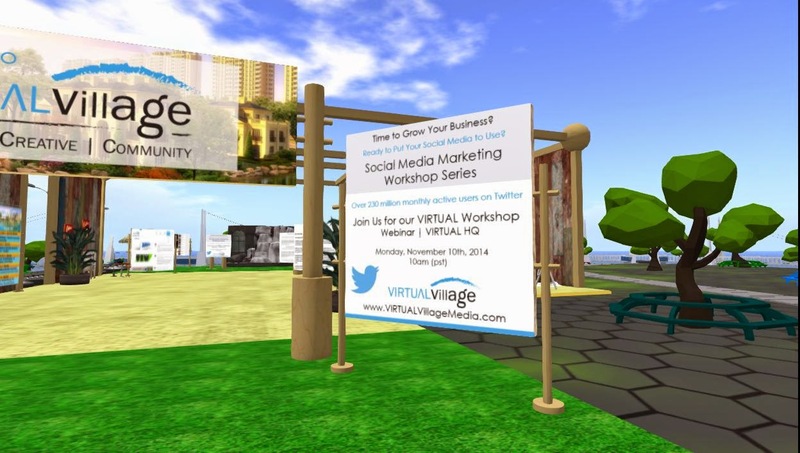 School of Accredited Instruction in Virtual Worlds. Note: we don't have to do all this at once. to maintain a master catalog executing these responsibilities. 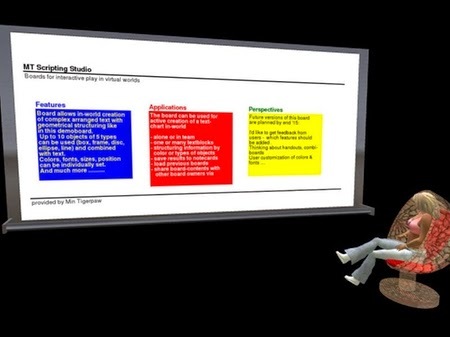 2014 EDU: PROMO: Inworld whiteboards. Sticky notes. Opensim only. Making a whiteboard to display text as for a class is awkward in Second Life. You have to open Gimp or Photoshop and make a texture, then import it into SL, then put it on a prim. If you want to change anything, you have to go through the same process again. Not at all suited to a presentation to a class. There I have often wished for a something like a blackboard or a whiteboard that would let me put text directly on a prim. Now I find a solution. 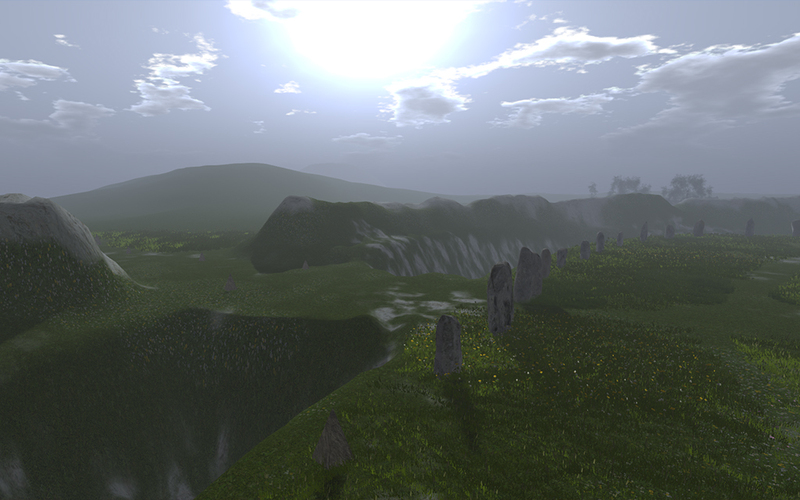 Not in Second Life, but in OpenSim Scripting Language (OSSL). 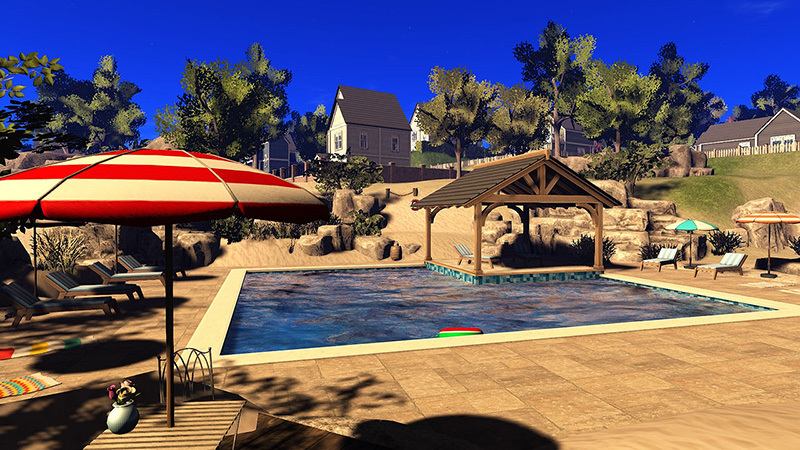 Opensim uses LSL and LSL syntax, but it also has a set of added functions, OSSL, that offer features not available in Second Life. One set of OSSL functions lets you write text onto the face of a prim. This talk was given at a local TEDx event, produced independently of the TED Conferences. In this talk, George introduces the concept of the “metaverse” and how it will change filmmaking in sets, crew, actors, and most importantly, the story. 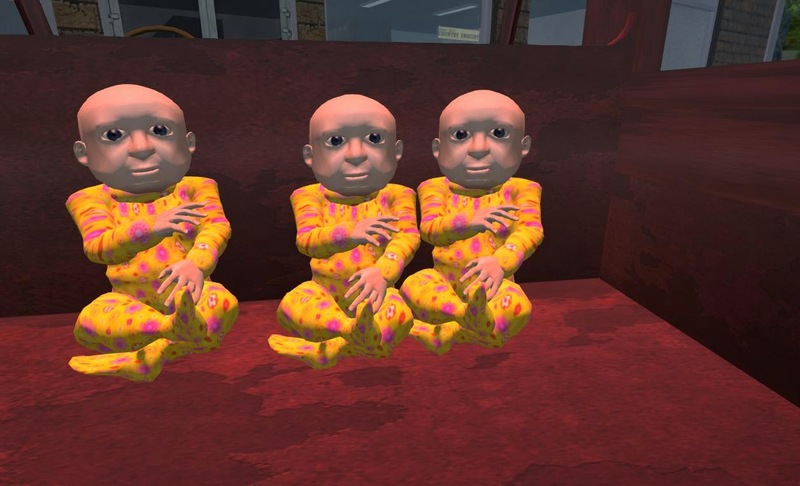 Grow a team of comedy writers in SL, make the videos to prove it. Flying Saucers Return: Lisa-Marie and the triplets. And tricks with sets. Selections from Craig Wright’s “The Pavilion”-- A.R.T. 5 pm Friday, Nov. 7. Comment: This video illustrates how people can use low cost video production in virtual worlds to promote ideas they feel are important. 5th Grand Art Challenge. Art on display. 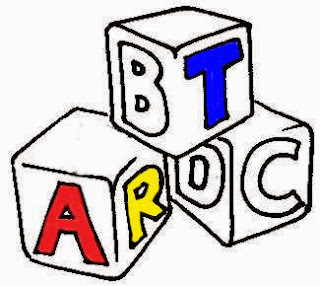 2014 STAGE: Selections from Craig Wright’s “The Pavilion”-- A.R.T. 5 pm Friday, Nov. 7. 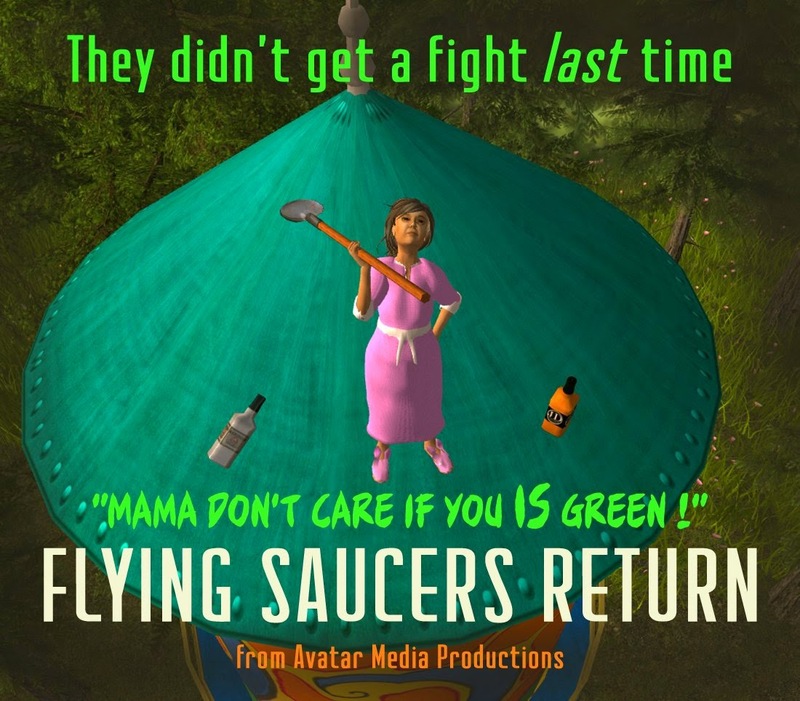 Avatar Repertory Theater, 5 pm Friday, Nov. 7. High school class reunions are a minefield of discarded dreams, misplaced hopes and surprising twists. And when the cutest couple in class shows up, their painful past blows up in a heated confrontation. Actors from Avatar Repertory Theater explore scenes from Craig Wright's "The Pavilion". Corwyn Allen, MadameThespian Underhill, Ada Radius and Kayden Oconnell will bring comedy, romance and a touch of philosophy to Friday's Plays Around at 5 pm on November 7. 2014 ART: PEOPLE: STAGE: NMA fundraiser at Lauren's place. Halloween in virtual worlds. NMA fundraiser at Lauren's place. New Media Arts, Inc. is a not-for-profit organization seeking to encourage and facilitate the production and enjoyment of the arts that are made possible by digital production and dissemination. Our mission is to develop graphical, theatrical, literary, educational, library and other fine and practical arts on the internet, in 3D graphical user interfaces, multimedia, new generation computing devices, and other electronic and digital communication media.